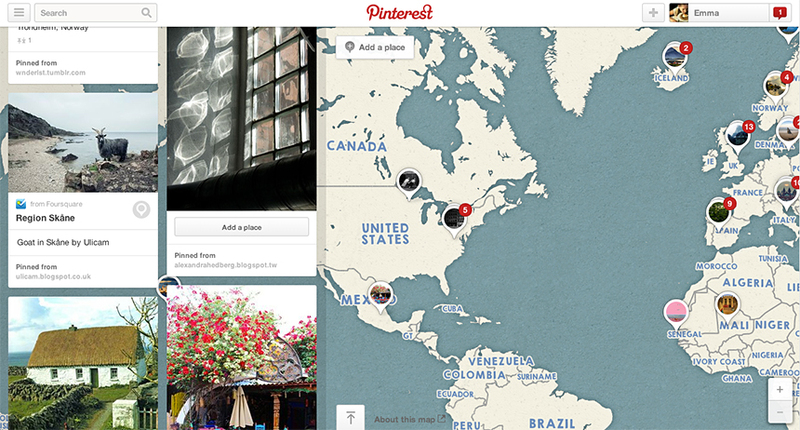 I’ve been using Pinterest for a couple of years now to keep track of visual research. It’s nice to be able to keep the pictures organised in categories, and automatically have the source noted. The site is also very visually appealing. If you go to the front page without having any interests or contacts set up, it looks a bit dismal, full of wedding dresses and self-help maxims. However once you have it set to what you want to see (and anything that bores you unfollowed), I find it full of interesting pictures.